Do you want consistent smooth rising equity curve? If YES, then you need to learn to use Risk Management technique. It should be in line with your trading strategy and trading edge in the market. The First step towards a consistently growing and smoother equity curve is to Define your Drawdown threshold. The Higher the drawdown threshold the more bumpy and jerky your equity curve will be. To keep it smoother you should a lower max draw down limit. Lets use an analogy of a car driving along a bumpy road like in the picture below. 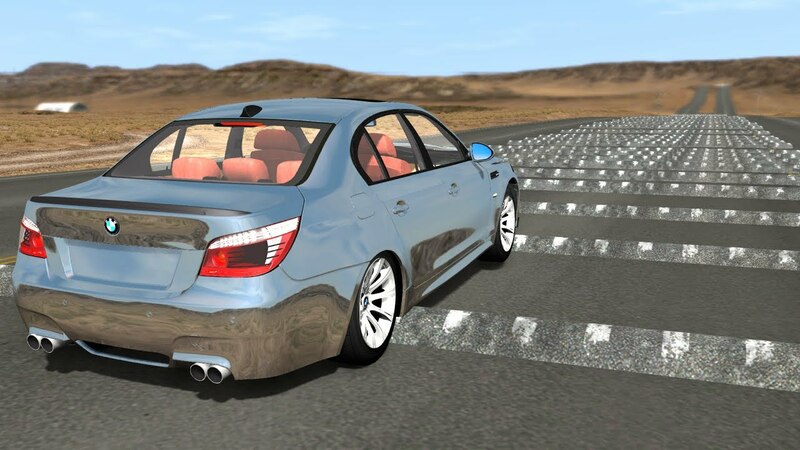 The car is travelling on bumpy road, it is by no means smooth and can never be smooth. Trading will always sustain losses. Every bump is a trading loss. Consistently Winning Trading is a result of using a strategy that has an edge in the market. It's a strategy that gives you a higher probability of winning over a set of trades over a longer period of time. The successful application of the winning method determines what is the direction of the proverbial car journey, losing trades are the bumps in the road, risk per trade is highs/depth of the bump, the amount of pressure on the gas pedal i.e. the speed of the car will determine how bumpy the ride is going to be. The bigger your risk per trade the more impact the bump/ditch will have on the quality of your ride. If you take too strong bumps along the road, too many times, it might shorten the health of your car. An Acceptable Drawdown Limit - What is it? Most prop firms and professional traders would not want to go anything below 3-5%. But depending on their strategy a figure as big as 10% would still be acceptable but as said before, the higher the number the more "bumpy" it will be. 5% is a GOOD figure. It keeps the curve very smooth. So, e.g. 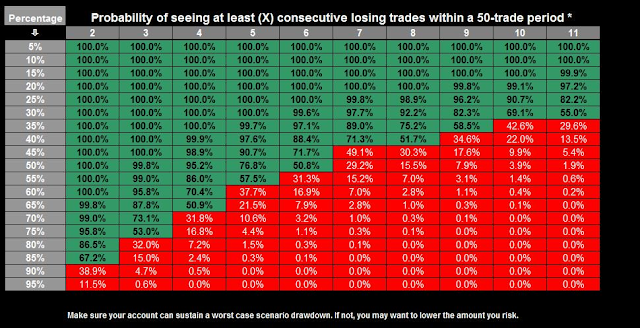 if a method has 50% win rate there is an 80% chance of 5 consecutive losing trades. There is a 50% chance of losing 6 trades consecutively. That means, within 50 trades there is a 50% chance that you might lose 6% of your account @1% risk per trade. I don't know how many times can this happen within one batch of 50 trades. Now, assume you want 5% max drawdown. This would mean there are quite high chances that your strategy might hit this "trip" wire within each batch of 50 trades. AIMS Stress Free Trading The Setup 1 method is a strategy that gives you 65%% win rate (33% losers, 33% BE) that means the chances of 5 losing streak is lower than 40%. So that means 5% draw down limit with 1% risk per trade would suit this method. What happens if I hit my Drawdown Limit? After the above you then have to assess, how many trades does your method generate per week. And then decide what would be your chances of blowing your max drawdown fuse? if you take 50 Trades a month, there is a reasonable chances that you might blow the fuse once or twice a month. Is that ok or do you want to avoid it? best be to avoid it. How many trades do you expect for your method depends on how many markets you watch and trade and what time frame. 8 FX Pairs on an hourly chart can produce half of that per month. so 5% drawdown at 1% per trade is not bad if you trade 20-25 times a month. (assuming there are no DS0 trades). This will keep your equity curve smooth and rising steadily upwards.